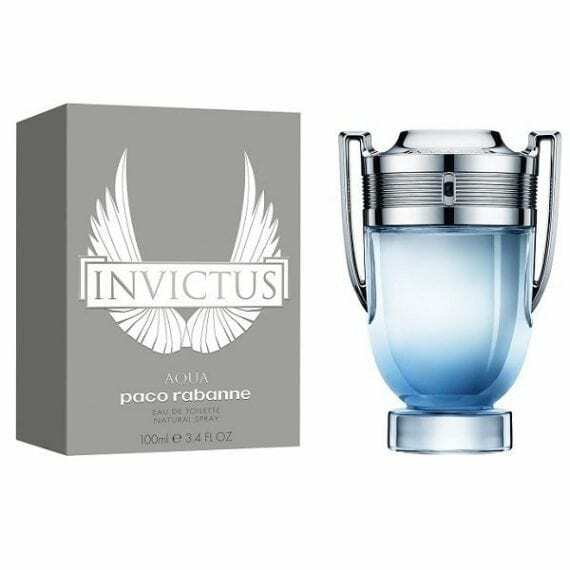 Invictus AQUA Eau de Toilette is a fresh, woody men’s fragrance taking its original version to new fresh heights. Taking inspiration from the smells of the surf, Invictus AQUA mixes ice-like marine freshness with the depth of underwater woods, with top notes of marine accord, and violet woods, heart notes of cool bitter grapefruit and ambery woods, all layered on a base of violet leaf and ambergris accord. 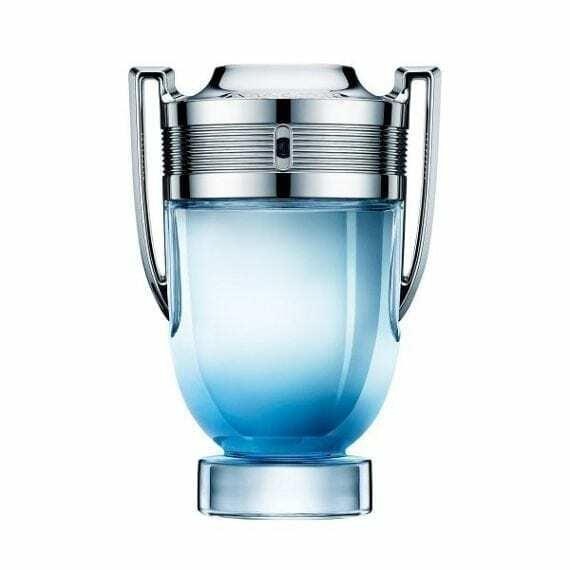 Invictus AQUA is bottled in an altered version of its original, featuring shades of blue, representing the depths of the ocean to the highest skies. Available to buy as a 50ml & 100ml Eau de Toilette Spray for men.